The Thoracic Oncology Program (TOP) at the Upstate Cancer Center offers a team approach to treating thoracic cancers including lung cancer, esophageal cancer, mesothelioma, mediastinal tumors, thymoma, malignant pleural effusion and cancers metastatic to the chest. In one appointment, you can meet with a team of specialists from: Thoracic Surgery, Medical Oncology, Radiation Oncology, Pulmonary Medicine, Thoracic Radiology, Cytopathology. The Cancer Center's Thoracic Oncology Program is the area's first program and still the only one of its kind in Central New York. Upstate Cancer Center, the best choice for thoracic oncology care. 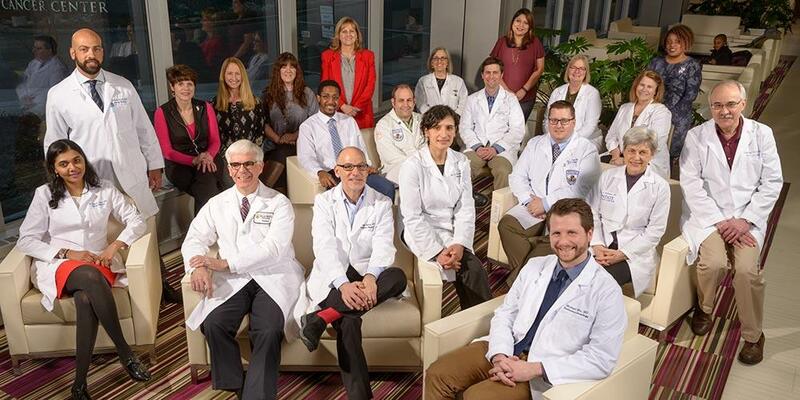 University Hospital's Thoracic Oncology Program is the only service of its type in Central New York. University Hospital has the shortest length of stay for major lung surgery in Central New York. University Hospital is a high-volume hospital for esophageal surgery, resulting in lower mortality and morbidity. University Hospital is the Regional Center of Excellence in robotic surgery, and most lung operations are done with video camera and small incisions, with less pain and earlier discharge from the hospital. Last Modified: April 10, 2019. Contact Casaundra Hildreth with questions about the content of this page.